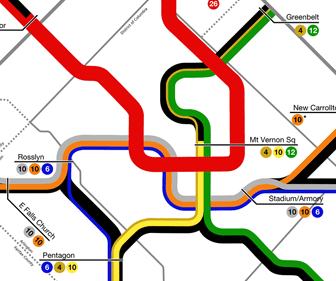 Article: Ask GGW: Why can’t Metro keep more trains on the Blue Line? – Greater Greater Washington. Starts as a simple question and goes from there. Perfect illustration, graphically, of what happens when a line splits or combines which is a theme Jarrett Walker has talked about in the past.